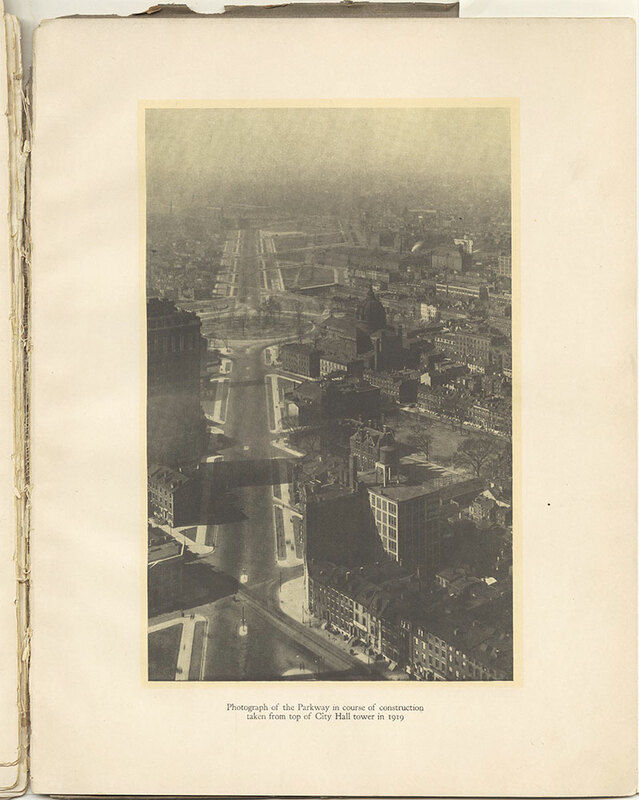 The photograph is a 1919 aerial view of the Parkway-in-progress, taken from the top of City Hall. One of the most significant buildings spared by the construction is the Cathedral Basilica of SS Peter & Paul, its prominent dome still highlighting the urban landscape of the evolving Parkway. To see the same view in 1907, prior to the construction of the Parkway, see item #pdcp01056.